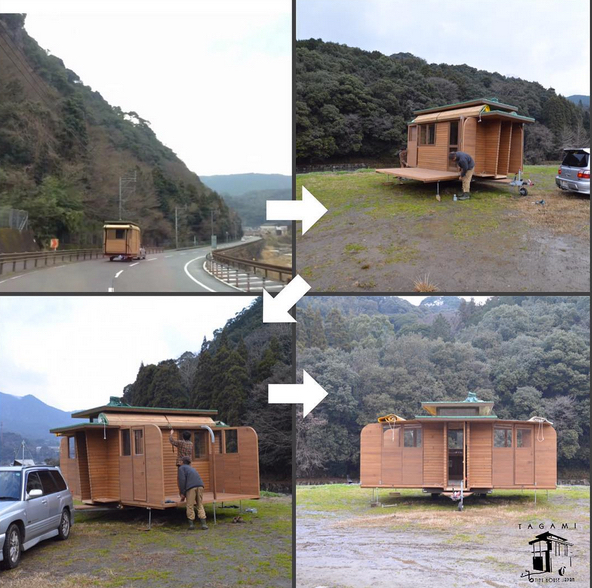 Tiny House Japan; who knew? The original link was sent to me by Chris Beneke. Thanks Chris. 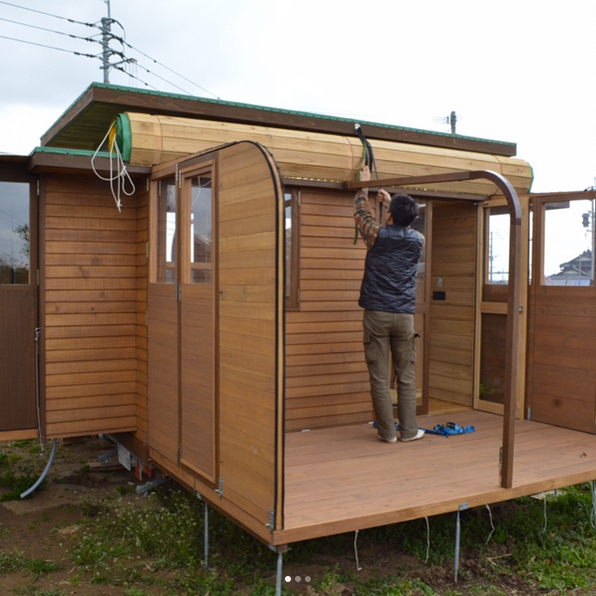 TINY HOUSE JAPAN: Some serious innovation at work. I do not read or speak Japanese so I’m at a loss over many details but the photos and videos exhibit a world of real innovation in design and construction. The builder, Haruhiko Tagami (製作担当　田上晴彦) has a spectacular web page highlighting some of his designs that are already giving me much food for thought for future constructions. One of the first things that really caught my attention was the pop-up mollycroft which adds and enormous amount of light and circulation but folds flat for travel. 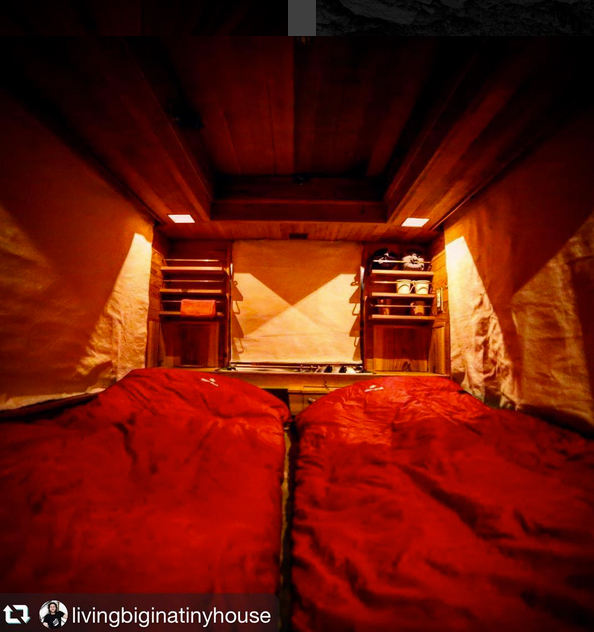 He has designs from the truly tiny (on par with my original design space-wise) to a very substantial house on wheels with pop-out rooms that are incredible works of engineering. Roll down canvas curtains block the large windows for the night. One of the problems with covering the extended space is having roll-up roofs along the lines of an old roll-top desk. 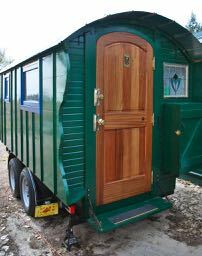 This allows for the modest-sized trailer to become a spacious palace; a big advantage when sharing with others. This more than triples the available living space and in some of the photos there is even a third room extended as well. This would suit a lot of people as a truly long-term living solution that could be pulled by a relatively small vehicle; not the enormous white aluminum fifth-wheel monsters that haunt the freeways. Enjoy this small overview of the design and please check out more of his work by clicking the LINKS. Many more photos of his work are available on his Instagram Page as well. There is much to explore for the budding builder so be prepared to take notes! Click to see the large and beautiful Baske-T. So cool! Much better than a six mat! Funny….I just saw this same home the other day via this very thorough guided tour by the owners. Many of the details are revealed. Extremely creative, well designed, and aesthetically stunning. 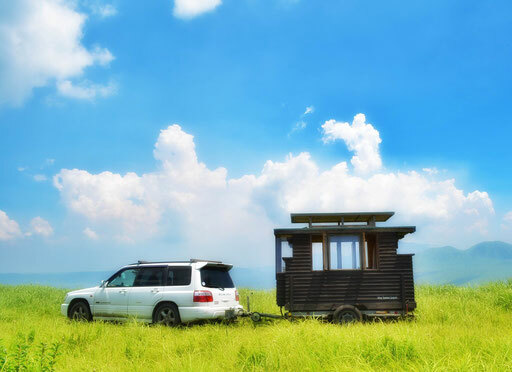 Also lots of interesting insights regarding traveling and living in a tiny trailer home in Japan. There is supposed to be a follow-up video in which the host visits Mr. Tagami Haruhiko’s workshop, which I am very much looking forward to.